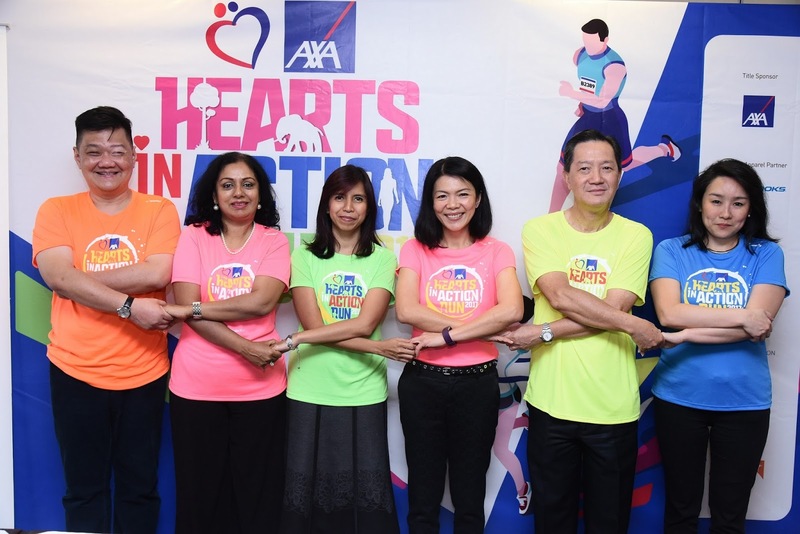 Choose Your Colour And Run For Your Cause: AXA Hearts In Action Run 2017 Aims For 8,000 Runners! 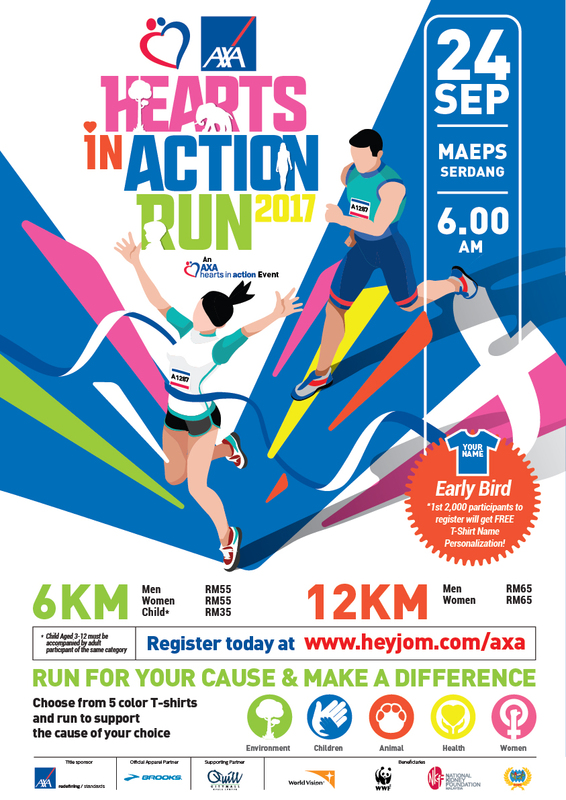 AXA AFFIN Malaysia announced the launch of the AXA Hearts in Action Run 2017, which will take place on 24 September 2017 at MAEPS, Serdang. Have you joined this year AXA Hearts in Action Run? AXA AFFIN has been hosting the event for 3 consecutive years. The event receives an overwhelming response from over 7,000 participants and contributions of RM110,000 to WWF-Malaysia. This year, AXA AFFIN is aiming to make cash contributions to four (4) non-profit organisations (NGOs) in Malaysia, including: WWF-Malaysia (which was the beneficiary in 2015 and 2016), National Council of Women’s Organisations (NCWO), National Kidney Foundation (NKF) and World Vision Malaysia (WVM). Is the time to contribute back to the society beside run for health. Fitness, AXIS Physiotherapy, Urban Health and Running Malaysia. follow AXA AFFIN Malaysia’s Facebook page for the latest updates.